Is Raytheon Company (RTN) A Good Stock To Buy? Raytheon Company (NYSE:RTN) shareholders have witnessed a decrease in support from the world’s most elite money managers lately. 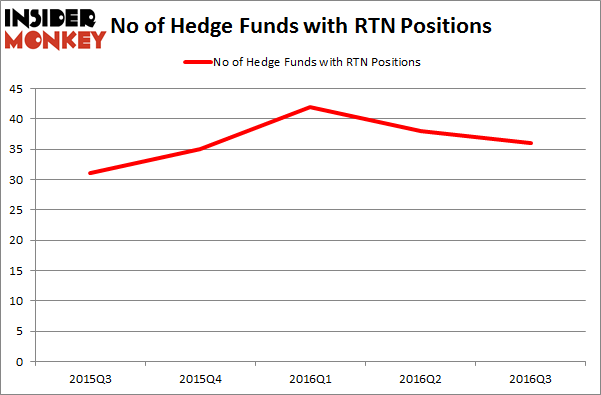 RTN was in 36 hedge funds’ portfolios at the end of the third quarter of 2016. There were 38 hedge funds in our database with RTN holdings at the end of the previous quarter. At the end of this article we will also compare RTN to other stocks including Northrop Grumman Corporation (NYSE:NOC), ING Groep N.V. (ADR) (NYSE:ING), and Enbridge Inc (USA) (NYSE:ENB) to get a better sense of its popularity. 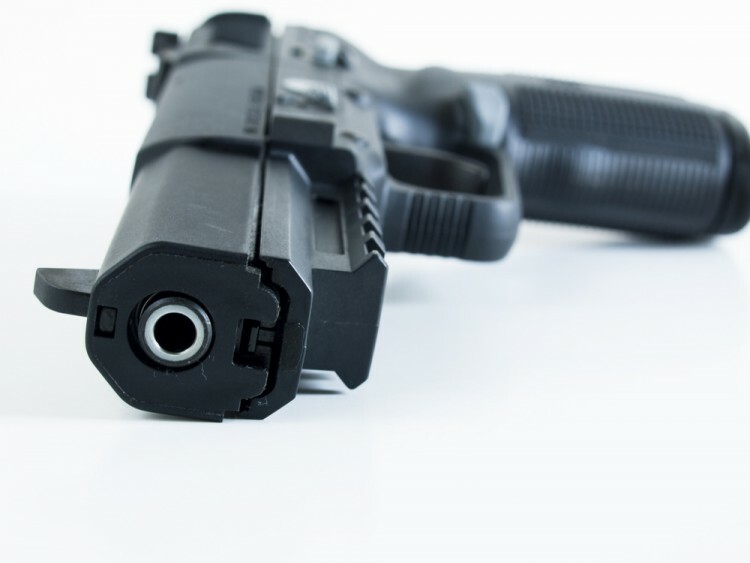 Now, we’re going to take a look at the latest action encompassing Raytheon Company (NYSE:RTN). What have hedge funds been doing with Raytheon Company (NYSE:RTN)? At the end of the third quarter, a total of 36 of the hedge funds tracked by Insider Monkey held long positions in this stock, a 5% drop from the second quarter of 2016. With the smart money’s sentiment swirling, there exists a few key hedge fund managers who were upping their stakes considerably (or already accumulated large positions). When looking at the institutional investors followed by Insider Monkey, AQR Capital Management, managed by Cliff Asness, holds the number one position in Raytheon Company (NYSE:RTN). The fund has a $357 million position in the stock, comprising 0.5% of its 13F portfolio. The second most bullish fund manager is Israel Englander of Millennium Management, with a $131 million position; the fund has 0.2% of its 13F portfolio invested in the stock. Other professional money managers that hold long positions include D. E. Shaw’s D E Shaw, John Overdeck and David Siegel’s Two Sigma Advisors and Ken Griffin’s Citadel Investment Group. Is The Dow Chemical Company (DOW) A Good Stock To Buy? Investors Are Going Crazy for EOG Resources Inc (EOG) Bill Miller Likes Buffett’s Timing On Airlines, Talks Valeant (VRX)&#... Hedge Funds Like What Panera Bread Co (PNRA) Is Cooking Up Fir Tree Goes Big on Tech, Consumer Stocks in Q3: Hewlett Packard (HPE), TiVo... Is The Ceiling About to Fall On Beacon Roofing Supply, Inc. (BECN)?